Is Ethanol Gas Damaging Outboard Motors? 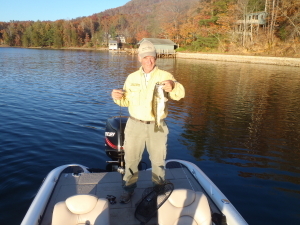 Having been fortunate enough to enjoy amazing spring-like weather from the deck of a boat on Tennessee’s Douglas Lake, it was tough to get back to work after the first real weekend with cooperative weather in some time. Having spent a large portion of the weekend enjoying family and recreation reminded me why I love the outdoors in the first place. Even under those pleasant conditions, it’s tough to stop being a reporter -or at least listening to conversations that wouldn’t interest most other boaters. There were a couple of items that I think bear more investigation and conversation from anyone who uses a boat in pursuit of their interests – personal or commercial. First, what’s the real deal with the ethanol controversy? Today’s news section carries a release from the Boat Owners Association of the United States (BoatUS) taking exception with the Missouri Corn Growers. Seems the growers put out a call for a concerted push by consumers to get more ethanol mixed into gasoline as a quick-fix for high prices. BoatUS puts forth the now-familiar warning that more ethanol is virtually certain to damage small engines like those on outboard boats, as well as lawn mowers, motorcycles, generators, gas-powered blowers and any one of the myriad of gasoline-engined devices we all use on an almost-daily basis. They cite the fact – not the assertion- that since the inclusion of ten percent ethanol in gasoline there have been increased problems with those engines. Their argument is focused on boats, but I have spoken with enough small engine manufacturers and repair shops to know that the ethanol is definitely the one change blamed for many of the fuel, fuel line and fuel system problems that have turned formerly-reliable pieces of equipment into recyclables. At this point, the EPA has specifically prohibited the use of the newly-proposed E15 in marine engines, but not the multitude of other small engines. That raises the very real concern that distributors may accidentally dispense E15 to docks and marinas. Fuel mistakes have caused documented aircraft fatalities, and I realize that’s an extreme example that’s perilously close to fear-mongering. But I’d also argue that having an engine conk out in the midst of a rapidly-deteriorating weather situation is a life-threatening situation in the marine environment. The Coast Guard might also back me up on that argument, too. But the hazards of this new fuel isn’t just the worst-case scenario. Our society seems fixated on “actionable” situations, those times when something breaks and your lawyer says there’s someone to “look to” for responsibility. If the quick mart where you normally buy gas for your mower switches to E15 and doesn’t clearly label the change, you could find your power tools, motorcycle, ATV or boat paying the price. At that point, it’s normal for people to “lawyer up” and go looking for someone to make them whole again. I don’t think that’s the intent of E15, but it’s hard to judge motivations in a legislative and regulatory world where it seems the thicker wallet has the best odds of getting changes made in their favor. So I’m encouraging everyone to do a lot of investigating before even considering saving those pennies per gallon on gasoline. And if there’s a definitive answer to the question, I’d invite you to share it with me. In turn, I’ll share it with our readers. After all, none of us is as smart as all of us. This entry was posted in boats and boating, Fishing Politics on July 14, 2014 by ronniegarrison.